The first Hereford Association in New York was formed in 1933, according to Mr. Robert Generaux, who was one of the first breeders of Registered “White Face” cattle in New York State. No records can be located of the early endeavors of the Association until Dr. Myron Lacy arrived at Cornell University shortly after World War II. Dr. Lacy was an avid proponent of registered Hereford cattle in New York State, and served for many years as the secretary of the New York Hereford Association. Dr. Lacey was instrumental in helping to establish annual sales of Hereford Cattle at Cornell University. On the national scene, the American Hereford Association split into two separate and distinctive groups, as some breeders only wanted to promote Polled Herefords. The same actions followed in New York State, which resulted in three New York Associations. 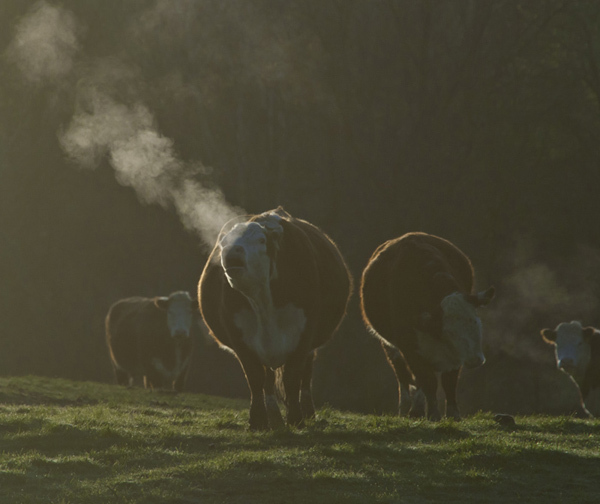 These associations included the NY Polled Hereford Association, the Empire Polled Hereford Association, and the New York Hereford Association. With the declining number of Hereford breeders in New York through the 1970’s and early 1980’s, breeders found it impossible to support three individual organizations in New York. In 1984, the New York Polled Hereford Association and the NY Hereford Association conducted a joint sale at Cornell University. The sale was a success, and for the first time in many years, breeders came together and began working together towards the promotion of Hereford Cattle in New York State. In 1987, the constitution and By-laws were drafter for the formation of the New York Empire Polled Hereford and Hereford Breeders Association, Inc. As time evolved, it was decided to continue doing business as the New York Hereford Breeders Inc. (NYHB).